For the love of Pomeranians! We show our dogs almost every weekend and enjoy every minute of it. But at home, our dogs enjoy the freedom of our backyard! 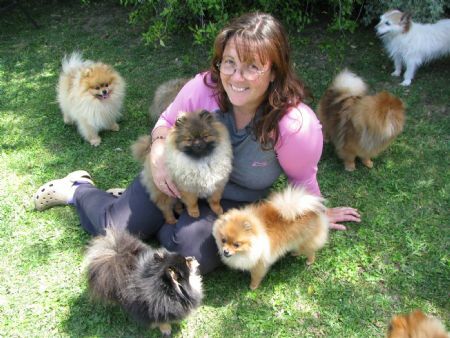 Plus, as you can see, our other pet dogs enjoy the pomeranian fun too.